Florida law makes it a crime to traffic in or attempt to traffic in property known to be stolen. Even if there is no absolute proof defendant knew the goods were stolen, prosecutors can use circumstantial evidence to prove he or she should have reasonably known the transactions weren’t legitimate. When someone is accused of dealing in stolen property, they are facing a second-degree felony charge, punishable by up to 15 years in prison. It is also a Level 5 on the sentencing score sheet, which means that without much of a criminal record, it’s possible one could be facing mandatory prison time. 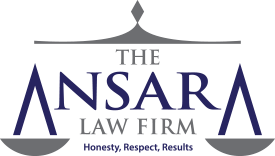 At The Law Offices of Richard Ansara, our Fort Lauderdale theft defense attorneys know a huge portion of these cases involve pawning off property belonging to a friend, relative or acquaintance. Unlike other types of crime, the value of the stolen property is of little consequence when it comes to this charge. That is, penalties for illegally pawning that $5 costume jewelry are going to be the same as what one would face for hawking that $50,000 diamond bracelet. Outcomes in these cases often depend heavily on what explanation a defendant can give for possessing the property in the first place. That’s why it’s imperative to give no statement to authorities – or anyone else about the case – until you have had the opportunity to discuss your legal strategy with your defense lawyer. Defendant initiates, organizes, plans, finances, directs manages or supervises theft of property and traffics in that property. The former is a second-degree felony, punishable by up to 15 years in prison. However, if someone is deemed the organizer of a larger operation that deals in stolen goods, this is considered a first-degree felony, which is punishable by up to 30 years in prison. Property – As defined in the statute, “property” is anything that is considered to be of value. It often includes tangible personal property, such as jewelry, vehicles or clothing. But it could also involve intangible property, such as claims, services, interests, privileges and rights. Stolen Property – This is recognized to be any property that is the subject of criminal wrongful taking. In some cases, it isn’t necessary that the property actually was stolen, so long as defendant purchased it with the understanding and belief that it was. Trafficking – The law defines “trafficking” as selling, transferring, distributing, dispensing or otherwise disposing of property. It might also mean to buy, receive, possess, obtain control of or use the property with intention to sell it, transfer it, distribute it, dispense it or otherwise dispose of it. A key point for the prosecution in these cases will be intent. What was the intent of the defendant who was in possession of or sold this property? Prosecutors are required to show defendant had knowledge the property was stolen. Proving what someone knew or didn’t know is challenging. After all, you can’t work your way inside someone’s head, and it would seem without their word, proving this element would be impossible. Proving possession of property that was recently stolen. Unless it can be satisfactory explained, there is an inference defendant knew – or should have known – the property was stolen. Proving the item was purchased or sold at a price that is substantially below fair market value. The burden of proof will be on defendant in this case to provide a reasonable explanation for this. Proving the sale or purchase of the property by a dealer was out of the regular course of business or without the usual indications of ownership. Here again, the burden of proof is on defendant to offer an explanation that is reasonable. Proving a dealer who regularly deals in used stolen property was in possession of stolen property, particularly where the name, phone number or other identifying information of someone other than the person offering is displayed somewhere on the property. Proving possession of a motor vehicle wherein the ignition mechanism has been bypassed or broken.